To write this review, I borrowed this book from my local public library. In Sniffer Dogs, readers learn how canines use their incredible sense of smell to help find us, keep us safe, and rescue us from danger. They even help protect the planet. The different occupations include finding survivors that are trapped after a disaster, sniffing out human bones, finding explosives, narcotics, and other bad stuff at airports, subways or other major transportation areas. There are also eco dogs that assist conservationists, and medical alert dogs that are trained to recognize blood sugar levels to sniffing out dangerous allergens. About 90 percent of sniffers are often termed useless or unmanageable by their original owners. They are literally rescued from death row. This is a high-interest title. 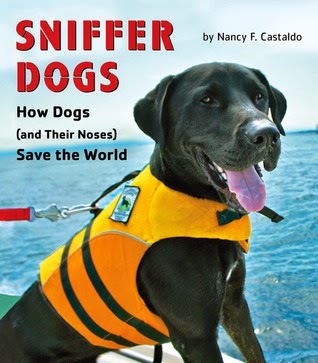 Castaldo delivers a fascinating text that juggles the science of sniffing with specific stories of working dogs. She also mentions the valuable work these dogs do in times of war as bomb sniffers or companions who can find their way back to camp to get help. The addition of color photos taken by the author, show these hard working dogs in various, often dangerous situations. A real page-turner. Back matter includes bibliography, suggested reading, websites, ways to get involved, glossary, and index. If you have students who loved these fictional titles -- Duke by Kirby Larson, Saving Zasha by Randi Barrow, Letters from Wolfie by Patti Sherlock, Dogs of War by Shelia Keenan, Cracker! 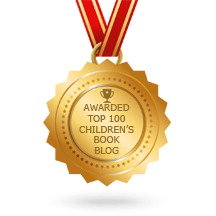 the best dog in Vietnam by Cynthia Kadohata and Soldier Dog by Sam Angus -- be sure to hand them Sniffer Dogs. 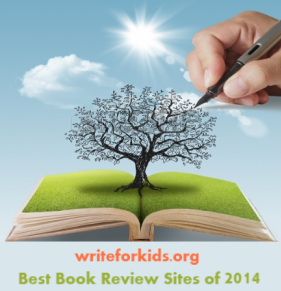 Read another review at Kid Lit Frenzy.